WhatsApp is reportedly displaying education material to inform users about how to spot fake forwarded messages on the platform and more. Earlier this month, Reliance Jio rolled out WhatsApp for the JioPhone. As per Reuters, the two companies are now working closely together for spreading awareness amongst the first time users of the app on the phone. 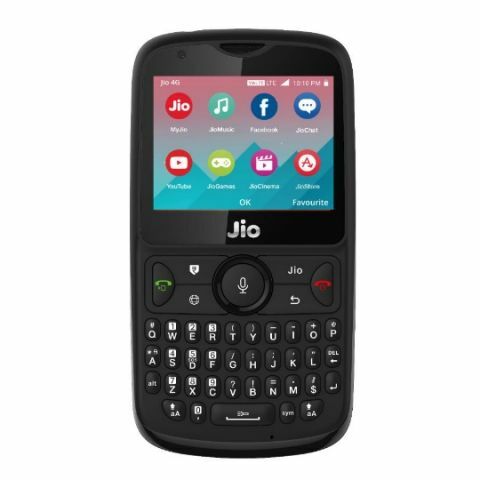 JioPhone is a low-cost ‘smart’ feature phone that supports 4G data connectivity and Jio says that it has over 25 million users. Most of the device users are transitioning from complete feature phones to a device that comes with support for apps like Facebook, YouTube and WhatsApp and the companies want to help these users steer clear of false information circulating on the platform that a while ago caused multiple lynching incidents in India. Those who are using WhatsApp on JioPhone will get educational material so as to easily spot a forwarded WhatsApp message. They are also being encouraged to share messages thoughtfully, WhatsApp spokesman Carl Woog told Reuters. "We are working closely with Jio to continue our education campaign for WhatsApp users," Woog said. The company has also partnered with the NGO Digital Empowerment Foundation (DEF) for promoting digital literacy in India's towns and cities. As per the report, DEF is hosting a workshop in Ranchi this week. This is not the only step that the online messaging platform has taken to reduce both the fake messages and their impact via the app. WhatsApp is offering unrestricted research rewards of up to $50,000 for proposals from social scientists and research groups that can help better the company’s understanding of the fake news problem. This announcement was made after the aforementioned lynching incident in which an angry mob killed a group of five people who were misidentified as kidnappers but actually travelled to Maharashtra’s Dhule district to beg. Since June 2017, at least 31 people across 10 states in India have been killed by mobs because of misinformation distributed through forwarded WhatsApp messages. The app is also being tested with a new Suspicious Link Detection feature, which is aimed at helping users detect suspicious sent and received links on WhatsApp. The feature works in the following manner: When a user receives a message containing a link, WhatsApp will analyse the link to detect if it may redirect to a fake or alternative website. If this is the case, then the message is identified with a red label and if the user tries to open the link, the app alerts users again that they are trying to open a possible suspicious link.